Tom chats to American singer-songwriter and producer Joe Henry, who recently released his 13th solo album, Invisible Hour. 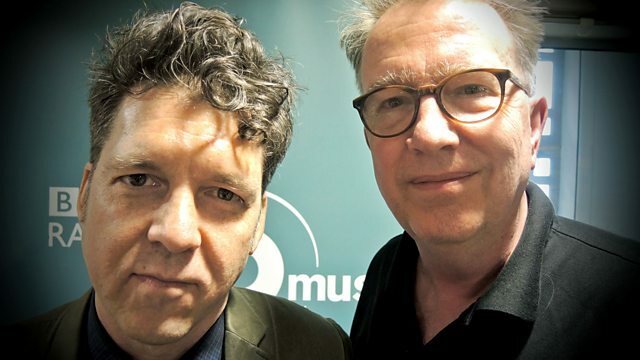 Tom chats to American singer-songwriter and producer Joe Henry, who's just released his 13th solo album Invisible Hour. He released his debut album Talk Of Heaven in 1986, and started producing in conjunction with T Bone Burnett. He's since produced albums for artists including Kristin Hersh, Jim White, Aimee Mann, Billy Bragg and Solomon Burke, for who's album he won a grammy. Soul Deep: The Story Of Black Popular Music (Various Artists). Beyond & Before (radio edit).